Banking is a financial functioning that provides many kinds of financial services to their customers. A bank is generally said to be as an institution which gives the fundamental banking services like accepting deposits and offering loans. Also there are even non-banking institutions that provide certain banking services which does not require meeting the legal Definition of a bank. Banks are a subset of the financial services industry. Banking is also referred as a system provided by the bank which provides cash management services for customers. It also has to provide reports of the transactions of their accounts throughout the day including the portfolios. The banking system of India should not only be hassle free but also it should be able to face the new challenges posted by the technology and many other external and internal factors. All banks secure the money and valuables, they provide loans, credit, and transaction services, like money orders, checking accounts and cashier’s cheques etc. The banks also provide insurance and investment products. As there a variety number of models for integration and cooperation among different finance industries have grown. Some of the traditional contrast between banks, securities, and insurance firms have been depleted. Even then also, banks continue to maintain and perform their primary role that is lending funds and accepting deposits from these deposits. Currently, the banking in India is generally quite mature in terms of product-range, reach-even and supply, even though when the reach in rural India still remains a challenge for the foreign banks and private sector. Indian banks are referred to have transparent, strong and clean balance sheets when compared with other banks in comparable economies in its region in terms of capital adequacy and quality of assets. The Reserve Bank of India is an autonomous body. It has minimal pressure from the government. The obligated policy of the Bank on the Indian Rupee is to manage volatility but without any fixed exchange rate-and this has been true most of the times. Along with the growth in the Indian economy as expected to be strong for quite some time-especially in its services sector-the demand for banking services, especially mortgages, investment and retail banking services are estimated to be strong. The Reserve Bank of India allowed Warburg Pincus to increase its stake in Kotak Mahindra Bank (a private sector bank) to 10% in March 2006. There are press reports that the banks' loan recovery efforts have driven defaulting borrowers to suicide. This is the first time an investor has been allowed to hold more than 5% in a private sector bank since the RBI announced norms in 2005 that any stake exceeding 5% in the private sector banks would need to be elected by them. In past few years, critics have stated that the non-government owned banks are too aggressive in their loan recovery efforts in connection with housing, vehicle and personal loans. With the advent of technological development banks customized applications (software) for mobile phones in the initial stage, now the introduction of Smart phones changed the traditional mobile software into Mobile Apps. The mobile is a small device, which has the risk of theft. This will be the major challenge on security issues to the customer who are using or willing to use mobile banking. The awareness how to use mobile banking and what are the security mechanisms to be followed by the customer has to be addressed for effective usage of mobile banking. India is a country where different languages are used in different parts. This requires customer friendly banking software that can be used in their local language. The awareness creation among the existing customers and providing special benefits for using the mobile banking will increase the mobile banking users. Based on the researches, it is found that most of the respondents are using online banking facility from their respective banks. However about 25% of customers are using mobile banking and 75% are not. The majority of the online banking users are comfortable without using the mobile banking facility and they are also not interested to test the facility. It is deduced from the study that the evolution of different technology in communication system and mobile device is a major challenge to frequently change the mobile banking subscriptions. Some of the banks are providing mobile banking in the form of text message type of banking. The only banks which are supervised and licensed in India and have a physical presence in India will be permitted to offer mobile payment services to residents of India. 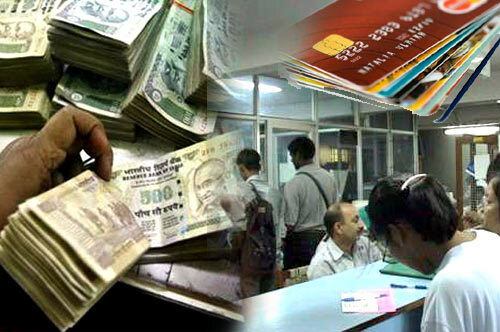 The services should be kept strictly to only to bank accounts/ credit card accounts in India. The services provided should be Indian rupee based services only. Banks may use the services of Business Correspondents for extending this facility. The rules and guidelines with regard to use of business correspondent would be as per the RBI circular on Business correspondents issued from time to time. The Risks and Controls in Computers and Telecommunications guidelines will equally apply to Mobile payments. The ―Know Your Customer and ―Anti Money Laundering, as prescribed by RBI from time to time would be applicable to customers opting for mobile based banking service.